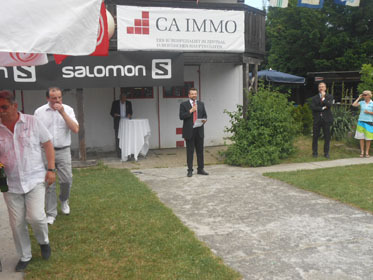 16\06\2015 The last week end Salani renews the commercial collaboration with Mr. Thomas Drucker. 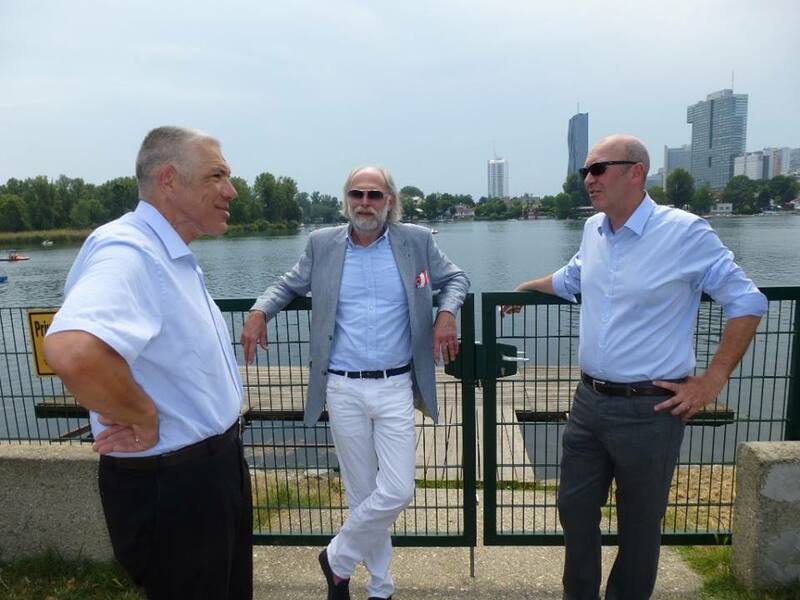 After many year of excellent commercial relationship in Austria, Mr. Drucker will be Salani agent also in Hungary and Czech Repulic, two interesting and potential markets in Central Europe. 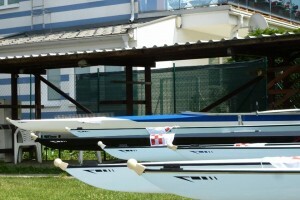 Salani will offer a complete fleet of olimpic boats, from single to eight, traning boats and sea boats, including the coastal rowing boats and the new Gigs model. 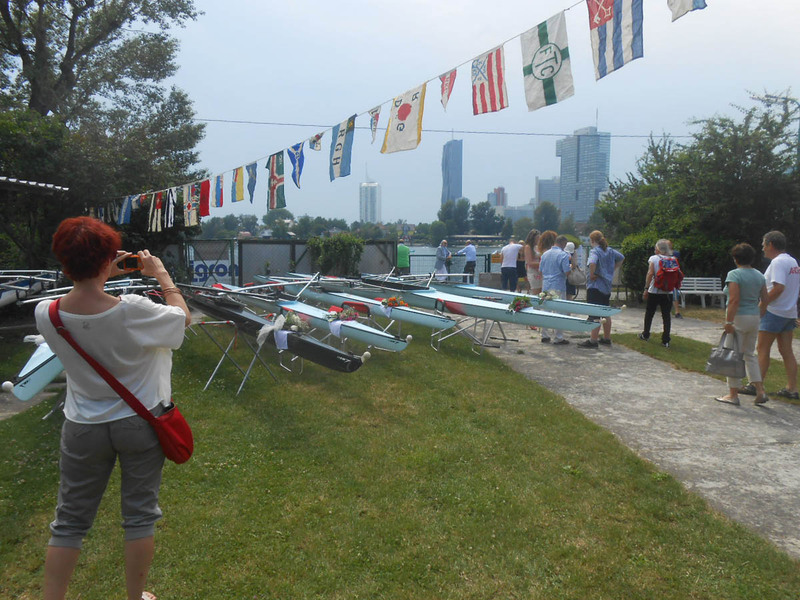 Obviously Salani Service doesn’t stop here: all pre and post customer services which include pre-sale assistance, fitting substitution and whatever kind of boat repairs to carry out at Salani’s yard, can now directly made at Vienna city. 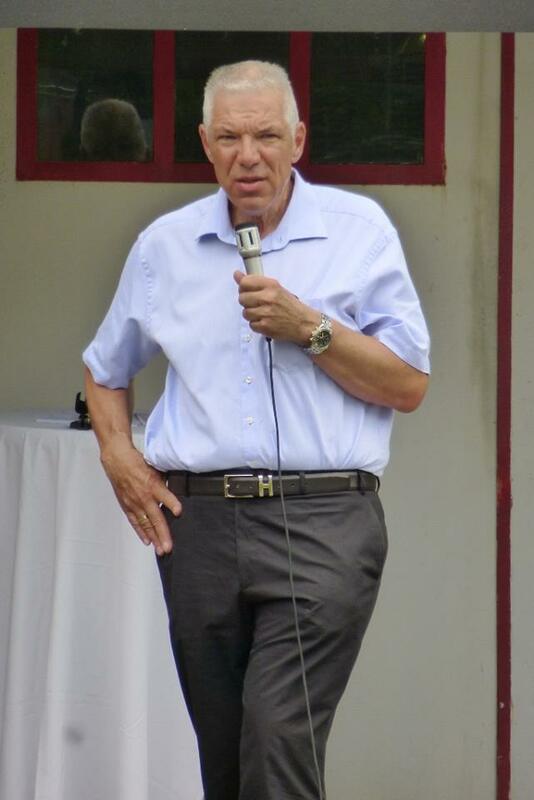 Moreover time to delivery will be reduced in the nations who Mr. Drucker covers. 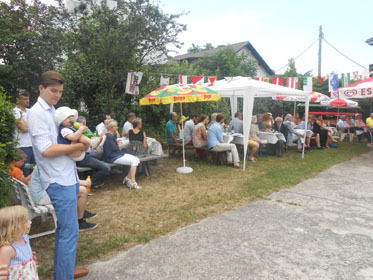 In short, the main goal of Salani can now be covered, that means highest quality and efficency for the customer in all countries where Salani is represented. 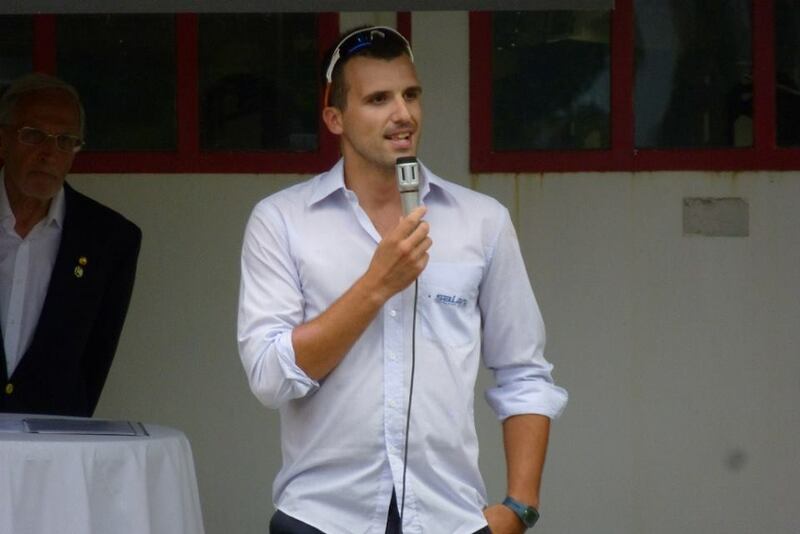 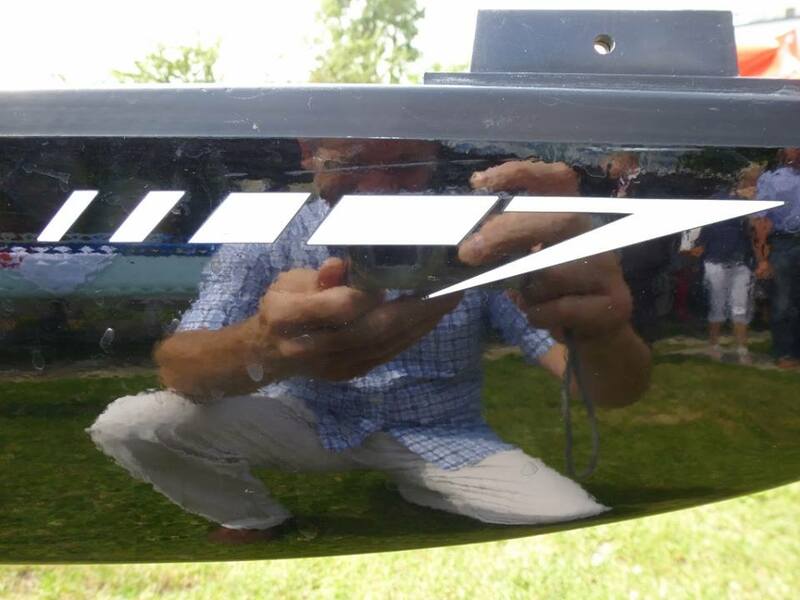 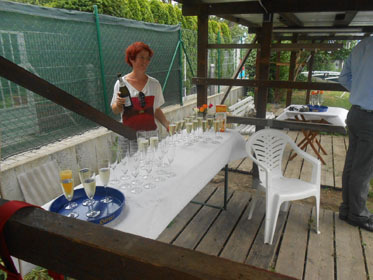 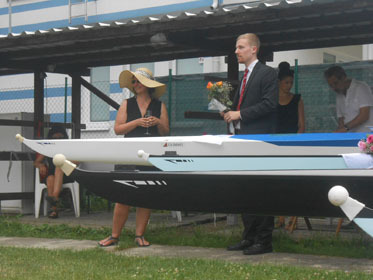 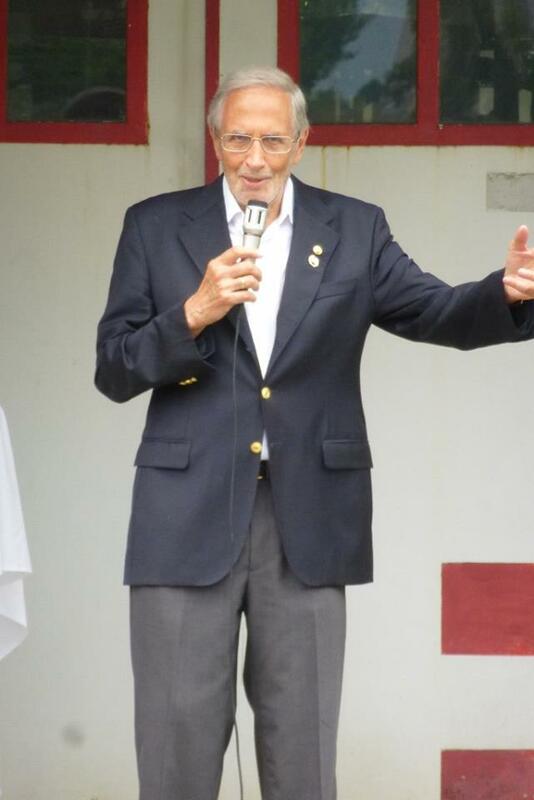 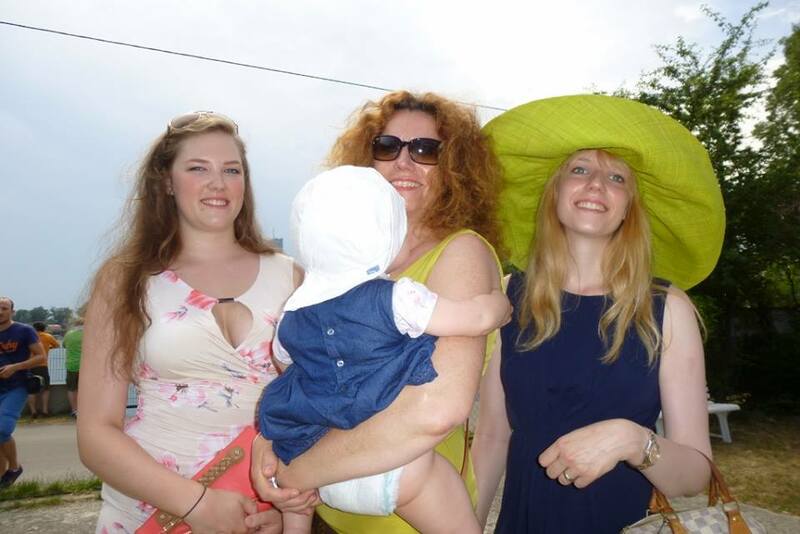 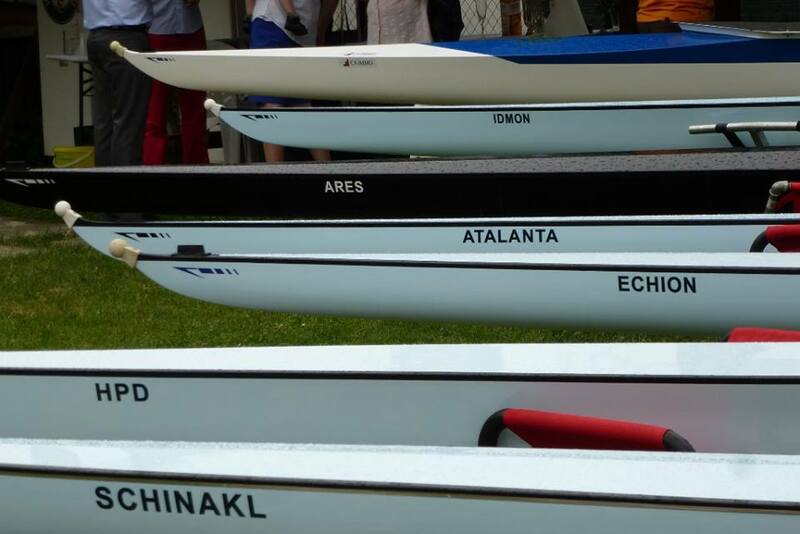 The right occasion to further develop Mr. Drucker collaboration with Salani was the Salani fleet christening which took place at Argonauten Rowing Club in Vienna (www.argowien.at) the last week end. 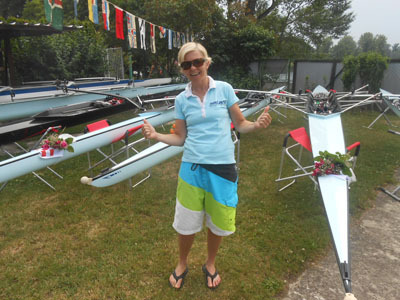 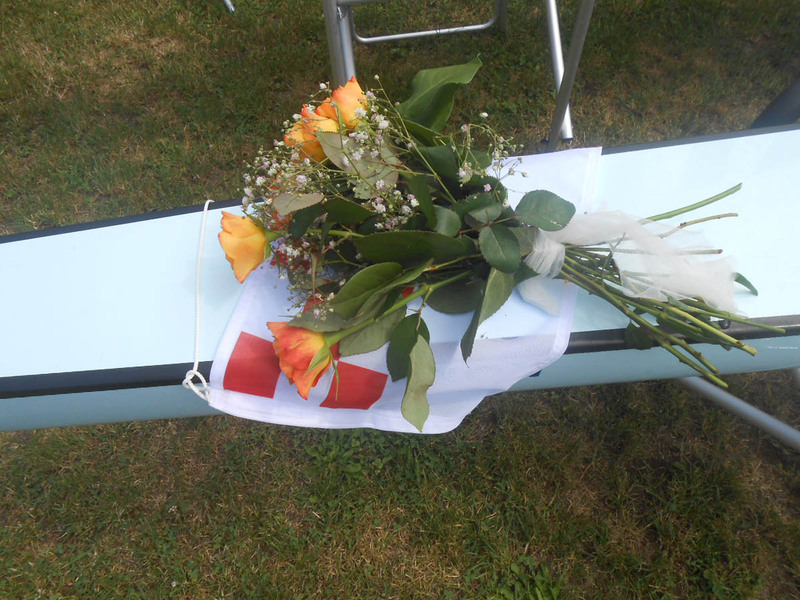 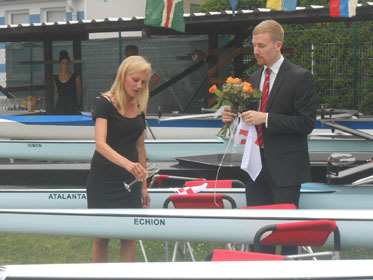 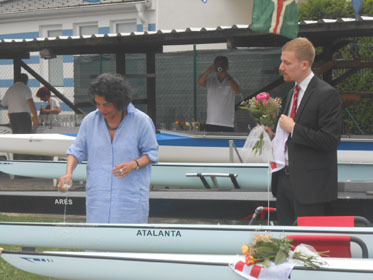 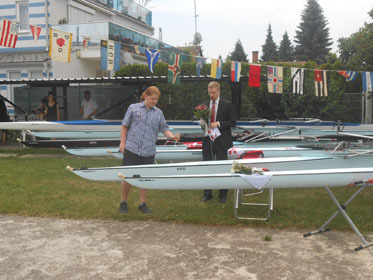 Seven Salaniboats from single sculls to doubles and one quad received their names. 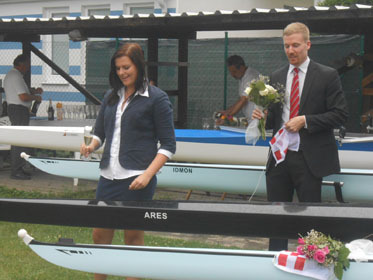 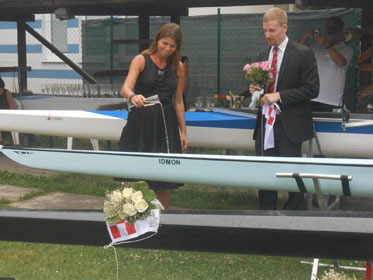 The ceremony was watched by Viennas Ministry of Sports, Vienna rowing federation, many rowing-VIPs, club-members and rowers. 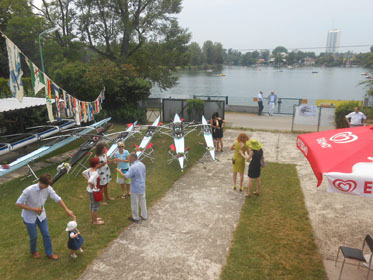 Too see then great number of people being curios, excited and interested in our boats makes us proud of our effort and job. 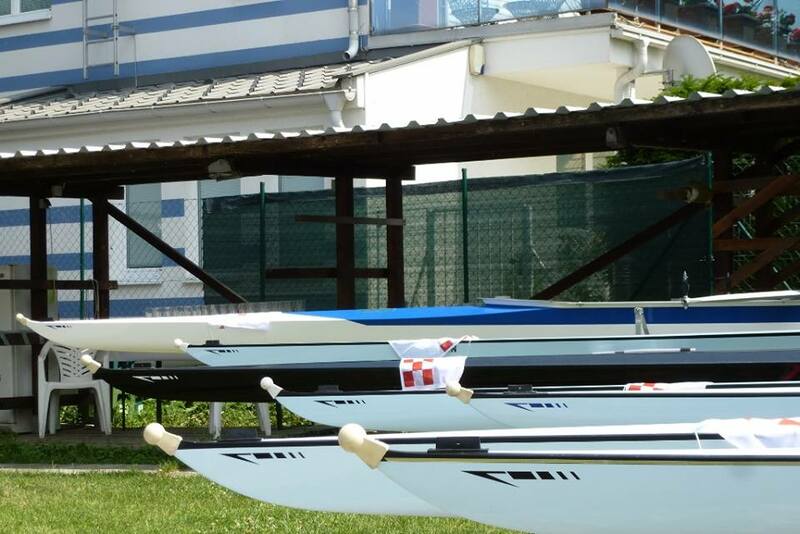 So, if you are in Austria, Hungary or Czech Republic and you wish to test a Salani boat, contact Mr. Drucker (mail:sportnachmass@gmail.com), for a Salani-Test-Row on Old Danube in Vienna.